B.C. 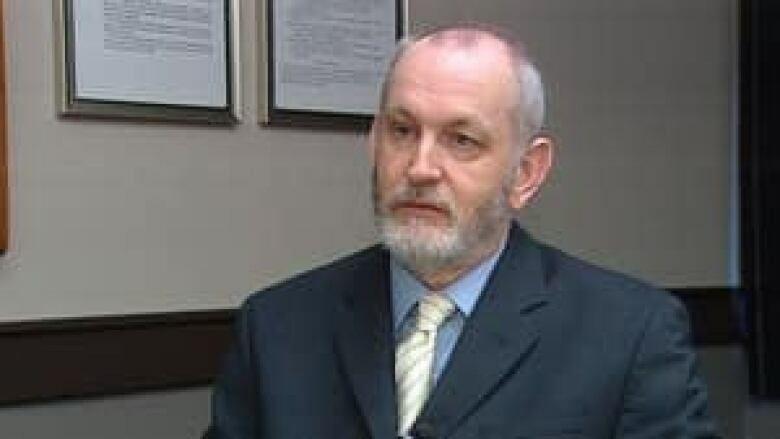 's Auditor General John Doyle has issued a scathing report on the provincial government's efforts to be carbon neutral, saying efforts to buy carbon offsets to counter its greenhouse gas emissions are not "credible." Doyle says despite its claims to the contrary, the B.C. government is not meeting its legislated objective to be carbon neutral. The biggest concern to Doyle is that tens of millions of dollars that are being collected each year from schools, hospitals and other public sector bodies to buy carbon offsets are not being credibly spent. "In all, 128 public sector organizations provided $18.2 million to the Pacific Carbon Trust to purchase offsets on their behalf," in 2010, Doyle noted. - Government has established reasonable procedures to allow public sector organizations to determine their greenhouse gas emissions. However, government has not yet established criteria to evaluate whether government as a whole is taking sufficient actions to reduce emissions. - Pacific Carbon Trust has not purchased credible offsets. - Government is reporting on its efforts to reduce emissions and its progress in achieving a carbon neutral government. However, the PCT has not provided sufficient information in its reporting about the cost and quality of its purchases. Doyle's office examined two projects which accounted for nearly 70 per cent of the offsets purchased by government to achieve their claim of carbon neutrality: the Darkwoods Forest Carbon project in southeastern B.C. and the Encana Underbalanced Drilling project near Fort Nelson. But he concluded, "this claim of carbon neutrality is not accurate, as neither project provided credible offsets." In other words, the so-called carbon offsets aren't really offsetting emissions as they're supposed to, the report said. Doyle said his main concern with the projects is that they would have happened anyway without the investment from the carbon offset program. "In industry terms, they would be known as 'free riders' — receiving revenue ($6 million between the two) for something that would have happened anyway," he said in the report. "Offsets can only be credible in B.C. if, among other things, the revenue from their sale is the tipping point in moving forward on a project. It must be an incentive, not a subsidy, for the reduction of GHGs." Doyle also took particular issue with the government's Pacific Carbon Trust, which is supposed to administer those offsets on behalf of taxpayers. He found the PCT wasn't being transparent with its activities and wasn't providing enough information about how it is managing public funds. Doyle also took issue with the trust for organizing what he calls an "orchestrated campaign" against him on the file. He said carbon trust managers broke his confidence and disclosed information about his audit to industry stakeholders — something he said he's never experienced with any other report. "Of all the reports I have issued, never has one been targeted in such an overt manner by vested interests, nor has an audited organization ever broken my confidence, as did the senior managers at PCT by disclosing confidential information to carbon market developers and brokers," he wrote. "I cannot sufficiently express my surprise and disappointment that a public sector entity, with a fiduciary duty to the people of British Columbia, chose to expend its time and energy in this manner, rather than addressing the concerns raised in the audit." The report was supposed to be released Tuesday but was put on hold after the Speaker of the legislature said there was an apparent breach, and the report had been given to unnamed people prematurely. Doyle said Tuesday he's often shared his reports with government ministries before their official release, adding he's required to do so under the Auditor General Act. He said he's also had a long-standing practice of providing briefings to ministers and deputy ministers and representatives of some all-party committees and other MLAs. B.C. Environment Minister Terry Lake responded to the report by saying the government accepted Doyle's recommendations, but rejected his conclusions. "The audit was limited in scope — only covering B.C. 's first year as a carbon neutral government and the first two offsets purchased by Pacific Carbon Trust — and does not reflect the changes made to B.C. 's offset system as the market has evolved," Lake said in statement. "British Columbia became the first carbon neutral government in North America in 2010 and is recognized as a world leader in climate action — I stand by our achievements," said the minister. Earlier in the day, Independent MLA Bob Simpson said he's never believed the Liberal government's claims on the matter. "The Pacific Carbon Trust and carbon neutral government absolutely has failed. The other aspect of this that really concerns me is that you have a government hiding behind its carbon neutral claim while it allows greenhouse gas emissions from its industrial strategy to skyrocket." Simpson also claimed many of the benefactors of the government's carbon neutral policies are major donors to the Liberal party. In 2007, the B.C. Liberal Government passed the Greenhouse Gas Reduction Targets Act that put into law B.C.’s targets for carbon reduction: 33 percent by 2020 and 80 percent by 2050. The Act also included an annual requirement for the public sector to achieve carbon neutrality beginning in 2010, Doyle noted in his report. The legislation covered the entire public sector, including all core government ministries, school districts, post-secondary institutions, Crown corporations and health authorities. In July 2011, British Columbia announced it was the first jurisdiction in North America to achieve carbon neutrality.